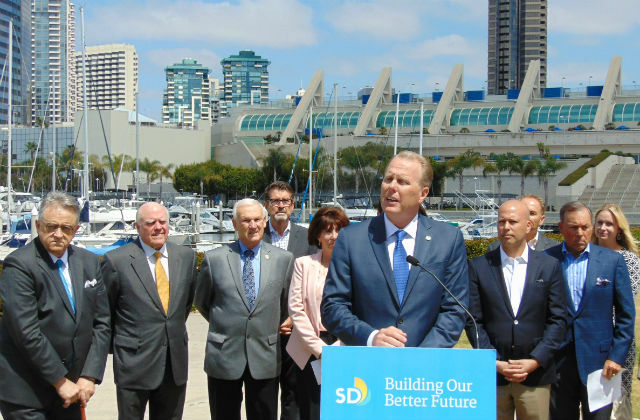 Mayor Kevin Faulconer used his veto power Friday to restore $5 million in funding for November referendums on SoccerCity and expansion of the San Diego Convention Center. The City Council approved a $3.6 billion spending plan on Monday night, but redirected money for the special election to other areas. The council has five business days to consider over-riding the mayor’s action with a super-majority of six out of nine votes. 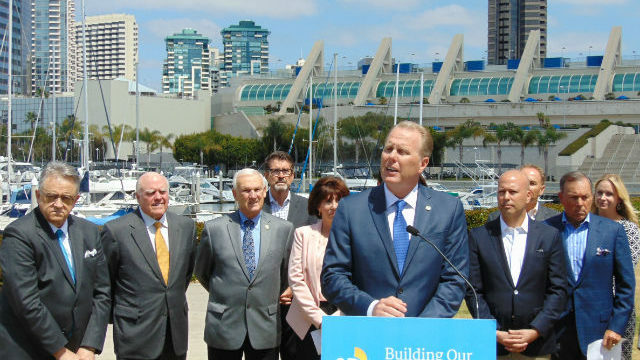 “This City Council can stand in the way of progress or give voters the chance to create more jobs, fix our roads, reduce homelessness and build a world-class development that will generate millions of dollars for neighborhood services and public safety,” Faulconer said in a statement. The SoccerCity plan by FS Investors of La Jolla calls for replacing Qualcomm Stadium with a smaller facility for professional soccer and college football, along with housing, offices, commercial space and parkland. It faces opposition from San Diego State University, which wants the land for expansion. The mayor’s proposal for the convention center would raise the tax paid by hotel guests to fund a $685 million expansion to ensure Comic-Con and other large events continue to come to San Diego. Some of the hotel tax money would also go for street repair and programs for the homeless. The mayor’s veto included including shifting $1 million in funding to San Diego Police Department retention programs. The use of those funds would be determined through discussions with the Police Officers Association. Faulconer took the $5 million for the election from the Qualcomm Stadium operations fund. He said that account has enough money for the next two years of debt service payments from previous stadium projects. He took $1 million from the discretionary funding and office budgets of Councilwoman Barbara Bry and Councilman Chris Ward, who opposed the mayor on the special election issue. The city charter gives the mayor authority to approve, veto, or modify any line item approved by the council.